Some years ago a young woman named Amanda Pearce came to a sleepy little California town on the central coast where she began work as concierge at the Candle Bay Hotel & Spa. She liked Natasha and Stephen Darling – the siblings who owned the inn, and was especially attracted to Stephen, a tall, broody drink of … water. A good girl, Amanda didn’t even allow herself to fantasize about him because she knew you shouldn’t have affairs in the workplace. And Stephen, though attracted to her, kept his fangs to himself. She met Natasha and Stephen’s uncle, Orion Darling and thought him eccentric because of his identification with The Godfather – even his office was an exact replica of the one in the movie – but that was fine with her. And then, along came a stranger, an old family friend – or so he claimed – named Julian Valentyn. There was something about him that frightened her, but Amanda was too happy in her new position to question things. But after a run-in or three with Stephen’s lascivious, eternally sixteen-year-old twin sisters, Lucy and Ivy, and then finding a bloodless body in a laundry cart that never seemed to stay in one place, she began to think the hotel wasn’t quite what she’d bargained for. The bodies began piling up, but Amanda, her love for Stephen growing, persevered through every trial, through the strange dreams about Julian Valentyne, and despite threats and dangers at every turn. And at the end of the story she and Stephen had their first kiss. But the question was never answered: Did he turn her or didn’t he? At last, that – and many other questions – will be answered. 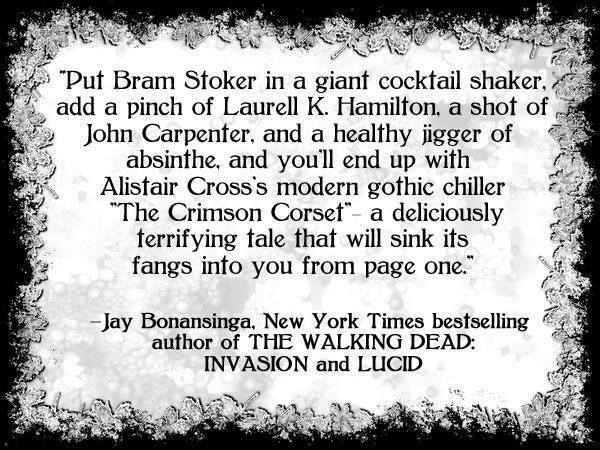 The sequel to Candle Bay had been planned for years, but simmered on a backburner until after Alistair wrote his vampire novel, The Crimson Corset, and asked if he might give the Darling clan cameo roles in the book. Tamara happily agreed and it went so well that she and Alistair decided to tackle the Candle Bay sequel as a collaboration, bringing together both Tamara’s Darlings (and Julian Valentyn, of course) and Alistair’s vamps – particularly peace-loving Michael and his lieutenants, Winter – the big lusty fellow with a deadly sense of humor – and Chynna – a beautiful warrior with a soft spot for her white tigers, Absinthe and Hyacinthe. Eternity is also on the bucket list for vampires as it was once the home-away-from-home for vamps misplaced after Atlantis met its watery death thousands of years ago. Icehouse Mountain is rumored to be the site of a very special vampiric holiday where the vamps gather to celebrate their long ago champion and king, the Trueborn, Kelieu. Think of it as Christmas with fangs. Natasha Darling of Candle Bay and Michael Ward of Crimson Cove are travelling together to the festival in Eternity, and they have an intense past together. But these days, Michael is celibate while Natasha remains hot as hellfire, igniting their reunion with plenty of sparks and steam. And when Juicy Lucy and Poison Ivy carpool with Winter and Chynna, well, Chynna finds herself in charge of keeping everyone’s hands – and fangs – to themselves. As for Stephen, Julian, and Amanda, that eternal triangle is coming to a head. Will wedding bells chime? Will fangs fly? Will blood spill? Will the serial killer have a stake in the action? Will Sheriff Tully decide he’s had enough? In the sequel, we again meet all these vampires and humans – as well as some fresh faces – as they head up to Eternity, some for marriage, some for fun, some to kill vampires, some to seduce them. Even the rarely-seen-but-oft-heard deejay, Coastal Eddie Fortune, is going. He’d really rather not – he’s no fool – but what can you do when you’re in love … with the mother of a serial killer? We are hard at work on the sequel, approaching mid-point, and expect to see it in print before 2016 ends. Until then, you can read Candle Bay for just .99 now through Sunday, to refresh your memory and get ready for the sequel! Eternity and The Crimson Corset are also available if you really want to do your homework. Tomorrow’s the big day. MOTHER will be available to buy! Links to follow. “Mother is about as disturbing as one can get. 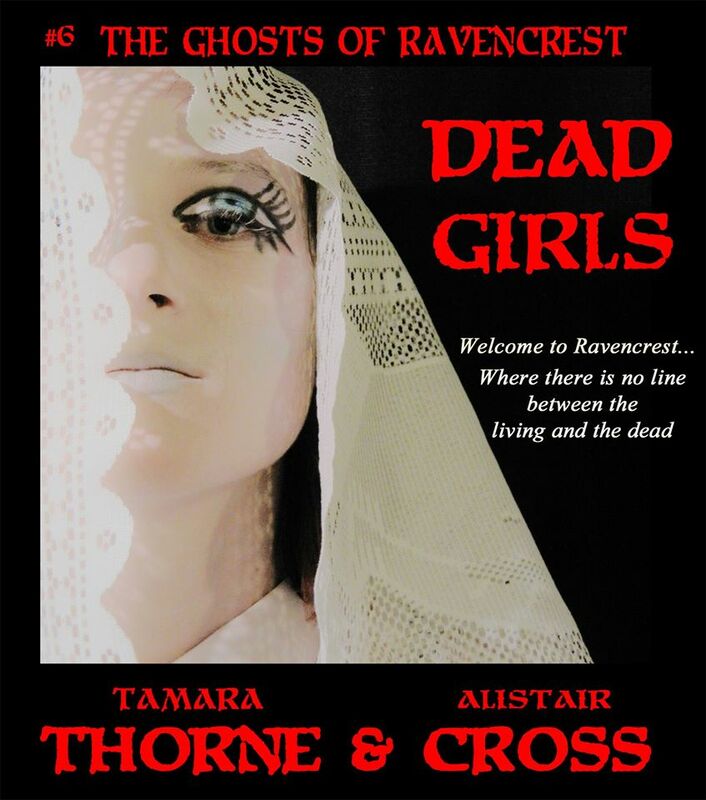 Thorne and Cross are seriously twisted individuals that know how to horrify and entertain at the same time. The Crimson Corset is available now.